HEATHROW is already the busiest airport in Europe, but wants to expand, while its customer satisfaction declines. I have seen security problems too. Don’t expect the government to help. Heathrow’s problems are symptomatic of Britain’s wider malaise: over-consolidated, under-accountable, better at spinning than correcting, self-serving more than public-serving. LHR is rated by customers 3.3 out of 5 on Facebook, 3 out of 5 on yelp, 2 out of 5 on airlinequality.com and 1 out of 5 on trustpilot.com. Bear in mind that online reviews skew high, with a median around 4 out of 5. Moreover, reviews in recent months are increasingly vitriolic: ‘the gateway to hell’, ‘the worst!’, ‘a disgrace’, ‘would have liked to be able to put 0’. In those same recent months, I had my own shocking experience with security problems that became public diplomacy problems. By the end, I realised this is an airport management that prefers to avoid than correct its problems, that pretends to be the victim but can’t provide evidence, that is not as accountable to competition or government as it should be. Frankly, I have not passed through LHR for years, for reasons familiar to complainants: crowding, bottlenecks, too many shops, too few rest areas, miles of walking to get to planes – up and down stairs, circling back, through tunnels, from gloom to glare and back again, breathing an atmosphere that is never fresh or cool even in the middle of winter, with few signs, to gates that might change after you reach them. But this time I was forced to fly through LHR by a government travel office. After the familiar problems, what surprised me was the security staff. Now, the staff at LHR are a familiar focus of complaints: rude, unhurried, careless, and unable to speak English as a first language. As a security expert, security staff are more noticeable to me, and I didn’t like what I saw: staff too busy with their phones or conversations to pay attention to tasks. The queues of passengers were misdirected but treated angrily when they sought to redistribute themselves more efficiently. Attention was directed to new signs warning that ‘abuse to staff won’t be tolerated’. The flow was light, but nearly stationary because the screen operator was busy chatting to staff on the air side, who paid no attention to passengers blocking the other end of the belt. Incidentally, too much overt attention was paid by male staff to female customers stripped of their outer garments before passing the metal detectors. During a break in these distractions, they over-compensated with my baggage, eventually confiscating a bottle of mostly air – a 200-millilitre bottle containing less than 50 millilitres of hand cream. In that same week, I happened to have passed through several foreign countries with that neglected bottle, which was rightly allowed by its content, not its capacity. Yet at LHR I was treated like a foiled terrorist. In the process, I got a closer look at how much attention was being paid to the other traffic: another bag was imaged on the screen without proper attention. I lodged my observations with the airport. I did so privately, as a professional courtesy, as an expert in security. I asked that my communication be forwarded to the terminal’s security manager. Instead, spin doctors replied – two of them. I repeated my request that the security manager should be notified. The first one soothed me, but ignored the substance. The second one lied: she said bottles must be confiscated irrespective of contents (not true). She also inadvertently trapped the airport in an admission of security failure: that same bottle had not been confiscated during my connection through LHR two days prior. Either LHR didn’t need to confiscate a bottle of air or it should have confiscated it the first time! To add insult to lie, Heathrow Customer Service claimed that video tapes showed the opposite of what I had seen. An exemplar was her claim that I couldn’t have been delayed ‘as you can see based on the time it took to proceed through’. This was spin: staff had delayed the line despite the light traffic (it was an unpopular time of day for connections), but the spin doctor claimed that the light traffic was evidence of efficient processing. As a professional matter (I once audited LAX’s security), I wanted to know how many complaints have been filed by members of the public against LHR’s employees, the number of claims made by LHR employees of abuse, and the number of confiscations of private property on the grounds of security. I filed a Freedom of Information request with Heathrow Airport which responded (‘Hi Bruce!’) that as a private business it can ignore such a request. So I filed a Freedom of Information request with the Department of Transport, which said it did not collect any of that information. What on earth does the Department of Transport do? It hires nascent companies with no ships to provide ferries in case of ‘no deal’ Brexit (£14million of public money lost). It attempts to hide its contracting, breaking an obligation to include Eurotunnel, which sued (£33million). Under calamitous Chris Grayling’s leadership, the Department has wasted £2.7billion in 12 such mistakes. It led the government’s spending of £4billion on planning for leaving the EU without ‘a deal’, which the government has just cancelled on the grounds that it had secured its second postponement of Brexit (until 31 October). It has spent at least £4billion on studying and preparing for the HS2 high speed rail line which the government’s own ministers are setting up for cancellation. What the Department of Transport doesn’t do is take as much responsibility for security as US authorities do. The US government is directly responsible for airport security, through the Transportation Security Administration, which was established because private airport security failed – before, on, and after September 11, 2001. The public sector is the natural deliverer of airport security because it has less incentive to trade security against profit. The myriad British airport security systems are one terrorist smuggle away from being nationalised. Competition should promote excellence, but LHR is too consolidated. It accounts for about a third of all UK air passengers, and twice as many as the next busiest airport. Its dominance could get worse. 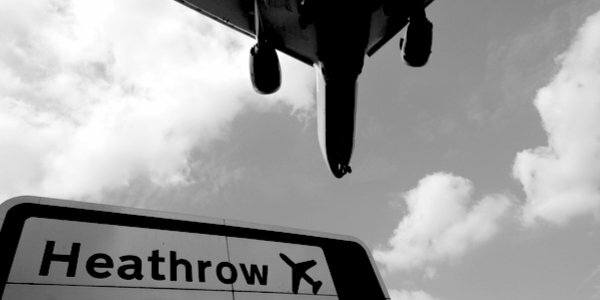 LHR is due for expansion, costing at least £14billion and 800 homes, although the High Court is considering civil claims that Grayling ‘ignored crucial facts’. Appropriately, Grayling’s career before politics was spin doctoring and BBC production. I’d recommend you write to Chris Grayling (chris.grayling.mp@parliament.uk) and tell him to improve LHR’s security and efficiency before allowing any expansion. But don’t stop there: make an issue of the general decline in competence and accountability in Britain. Our politicians and service providers have forgotten whom they serve. Bruce Newsome is a lecturer in international relations at the University of California Berkeley and an expert on global security risks, international conflict and counterterrorism.